Support IEEE802.3af Confirmed PD, Provide Up To 15.4 Watts Per Port. 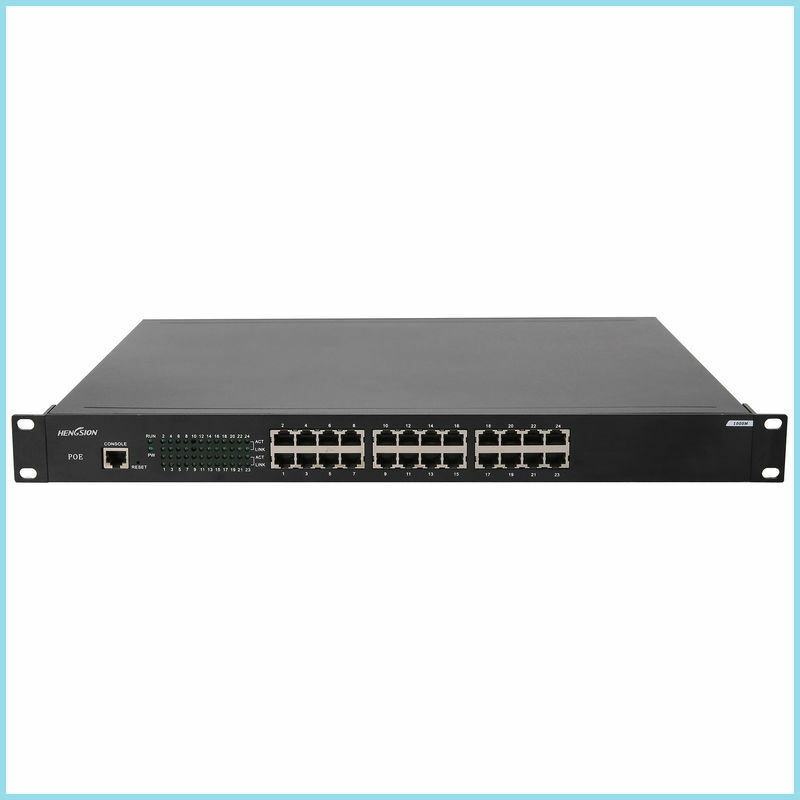 HENGSION unmanaged ENB24G-24EP Ethernet switch provides 24*10/100/1000M POE Ethernet ports. The POE Ethernet ports fully compliant with IEEE802.3af standards, provide up to 15.4 Watts per port to meet the user’s requirements of fast networking; ENB24G POE series’ wide operating temperature range and port surge protection design are ideal for application in large flow real-time outdoor environment, and are widely used for occasions including enterprise, intelligent building, cafe, community access or gathering etc., and for industries like finance, education and government etc. ▶ 24*1000Base T(X) POE Ethernet ports. ▶ POE Ethernet ports fully compliant with IEEE802.3af standard provide up to 15.4 Watts per port. ▶ Support IEEE/802.3x full duplex flow control and Backpressure half duplex flow control. ▶ Wire speed forwarding capability of all ports make sure of non-blocking message forwarding. ▶ With power overload current protection. ▶ No fan, low power consumption design. ▶ Support full-loaded operating temperature range -20 to 70℃. Standards IEEE 802.3,802.3u,802.3x,802.3ab,802.3z; IEEE802.3 af.